A GUI checkpoint helps you to identify changes in the look and behavior of GUI objects in your application. The results of a GUI checkpoint are displayed in the GUI Checkpoint Results dialog box that you open from the Test Results window. The dialog box lists every object checked and the types of checks performed. Each check is marked as either passed or failed and the expected and actual results are shown. If one or more objects fail, the entire GUI checkpoint is marked as failed in the test log. You can update the expected value of a checkpoint, when working in the WinRunner report view. 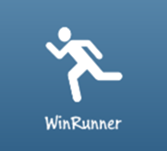 For additional information, see “Updating the Expected Results of a Checkpoint in the WinRunner Report View”. For a description of other options in this dialog box, see “Options in the GUI Checkpoint Results Dialog Box”.